I love being outside and exploring the city. 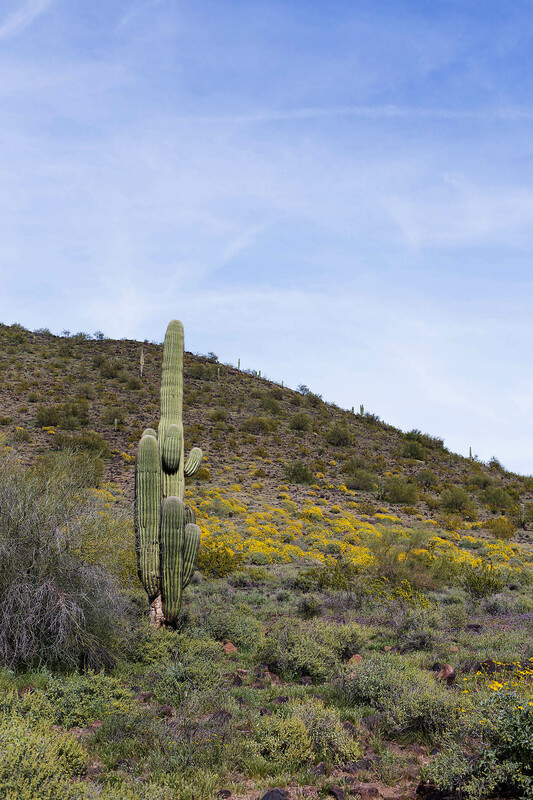 I love trying new museums, checking out National Parks and even visiting new hiking spots. 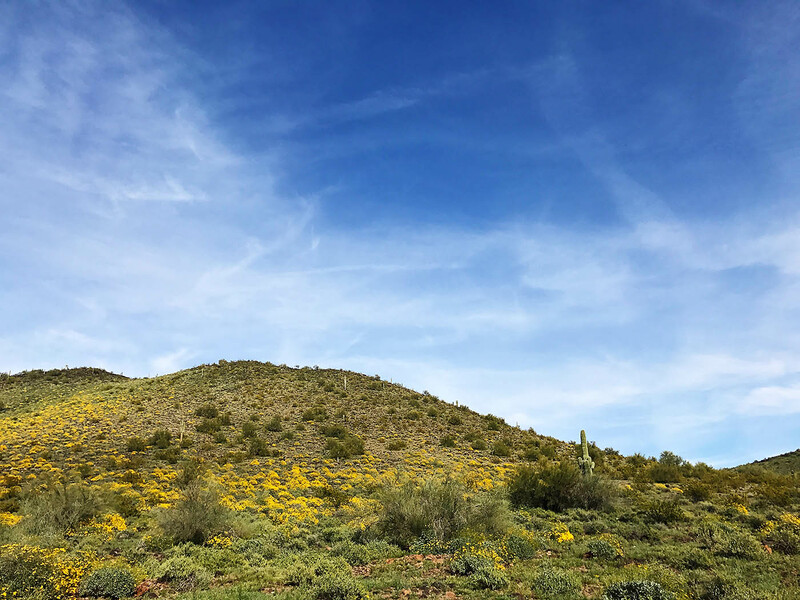 Even though I’ve lived in Phoenix my entire life I still have a LONG list of things to check out (as well as favorites to go back to). One of the things we do to save time, money, calories AND add a little bit of fun to the day is bring lunch with us on our adventures. It’s fun to try new restaurants but just not always feasible depending on where we’re exploring. I have lots of different things I regularly pack for lunches on the go but lately I’ve been all about the salads. The thing with me and salads though is that I have to make them myself because I like my lettuce to be chopped small. I hate trying to eat salad and a big piece of dressing covered lettuce slaps me in the face. So any salad I make is a nice chopped salad with all the pieces around the same size. 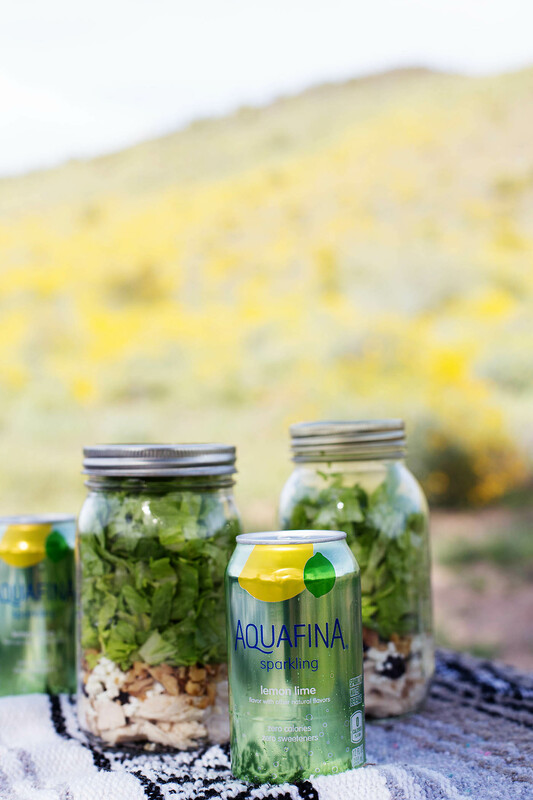 Another thing we regularly pack is sparkling water. 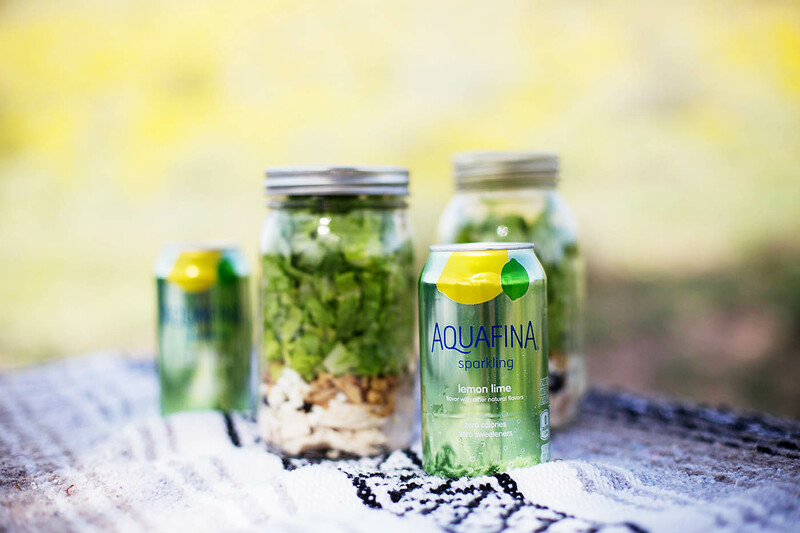 We LOVE trying all new flavors and I was excited to see that in 2017, Aquafina Sparkling is reformulating with 0 calories, 0 sugar, and 0 artificial preservatives. 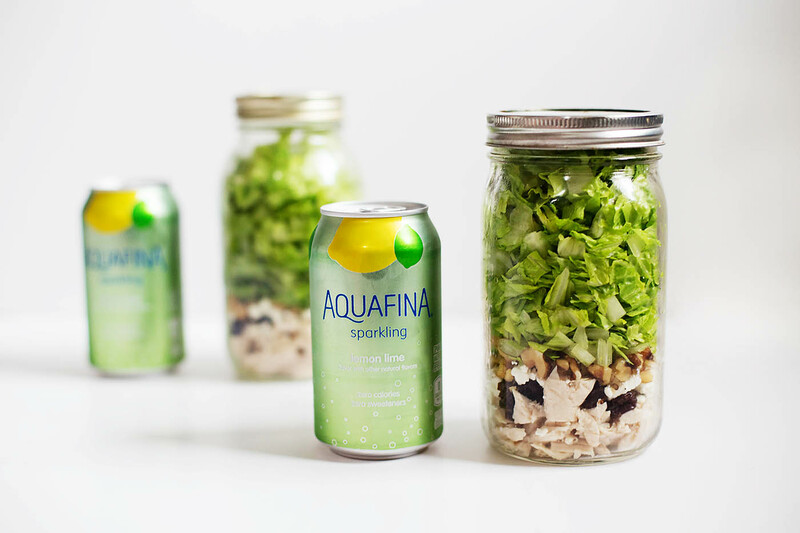 I first picked up an 8-pack of Aquafina Sparkling Lemon Lime at Target when I was grabbing items for a salad to pack later that week. 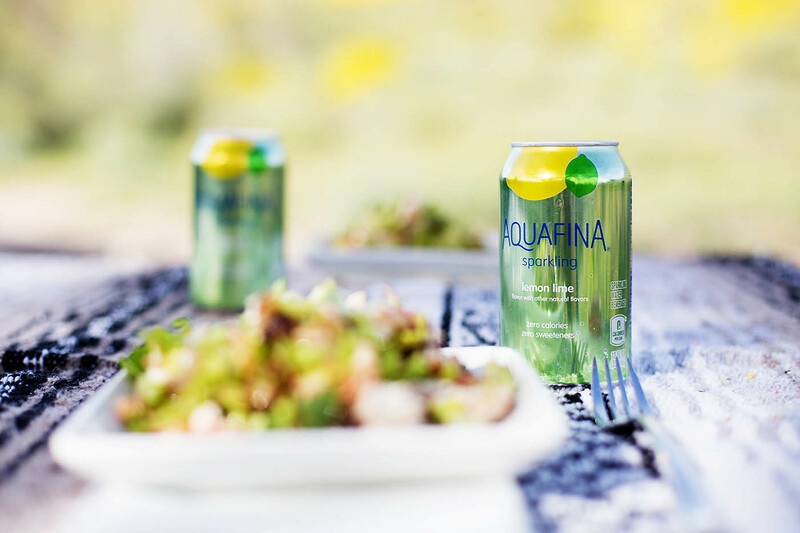 There are going to be tastings/samplings of Aquafina Sparkling in different Target locations across the US. So if you see them next time you’re at Target definitely try them out (and save with Cartwheel)! 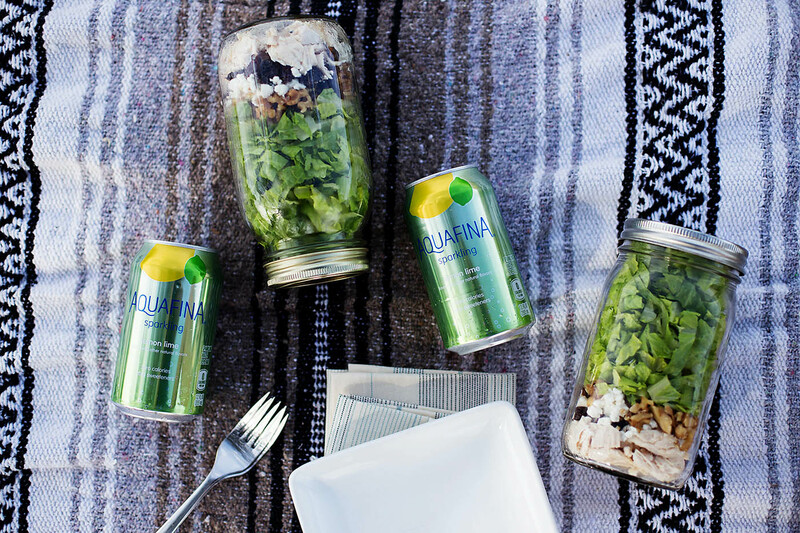 I snuck a can when I got home while I prepped salads and loved it. 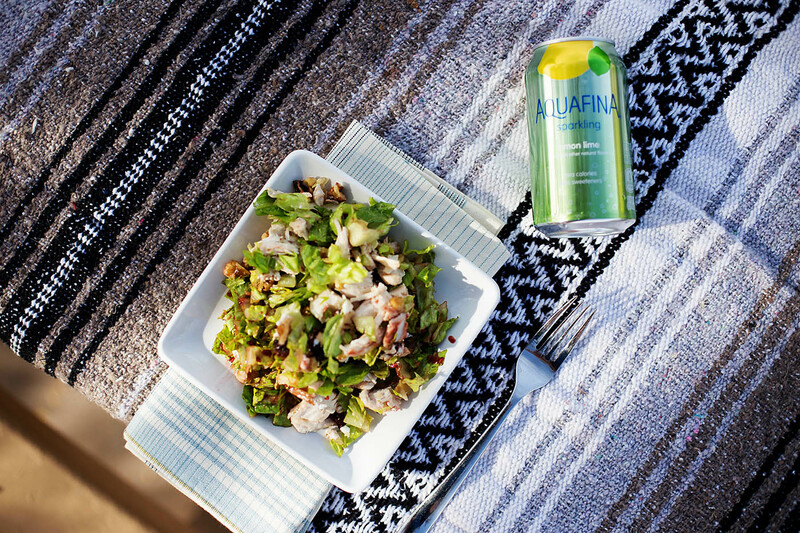 It’s SUPER refreshing and the perfect addition of flavors. 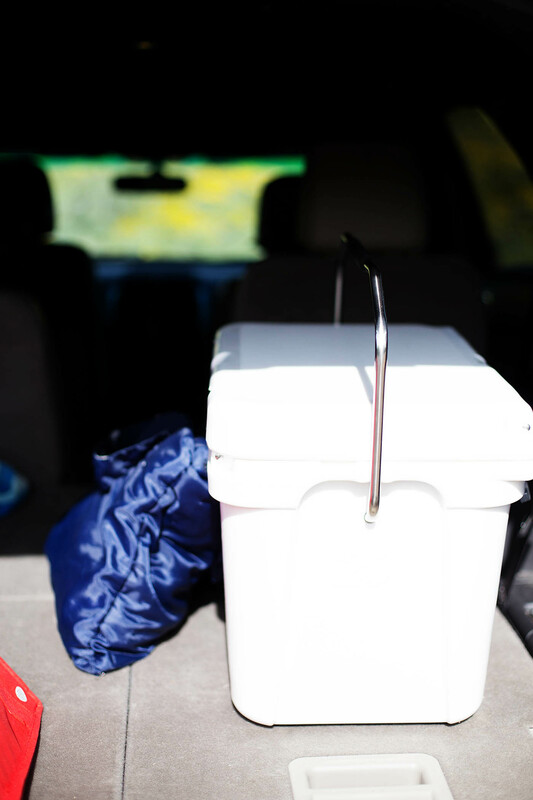 I knew it would be perfect to throw in the ice chest for exploring the next day. 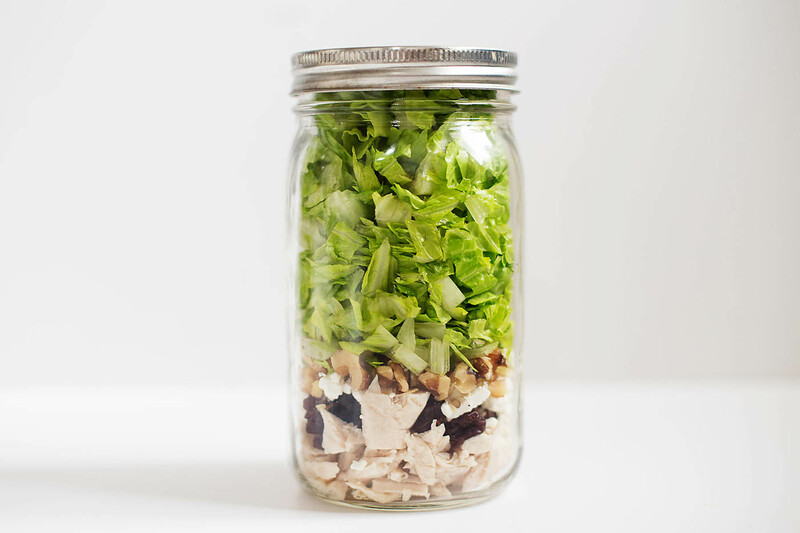 I love using jars for salads when I can but I don’t always put the dressing in just in case I don’t end up taking the salads right away. I just place it in a small container to add later. 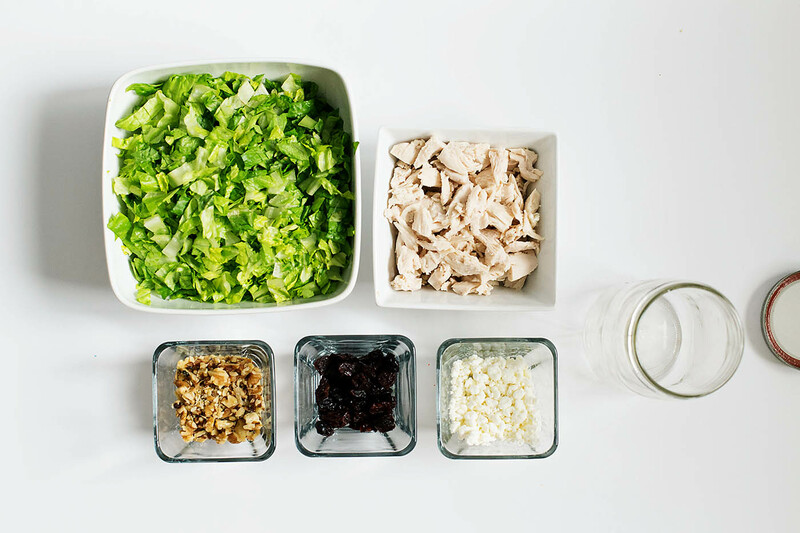 This chopped cherry salad is SO simple to put together. Add any dressing you like or just a bit of olive oil and vinegar. I love to use our homemade raspberry vinaigrette. Adjust amounts of ingredients to suit your needs. 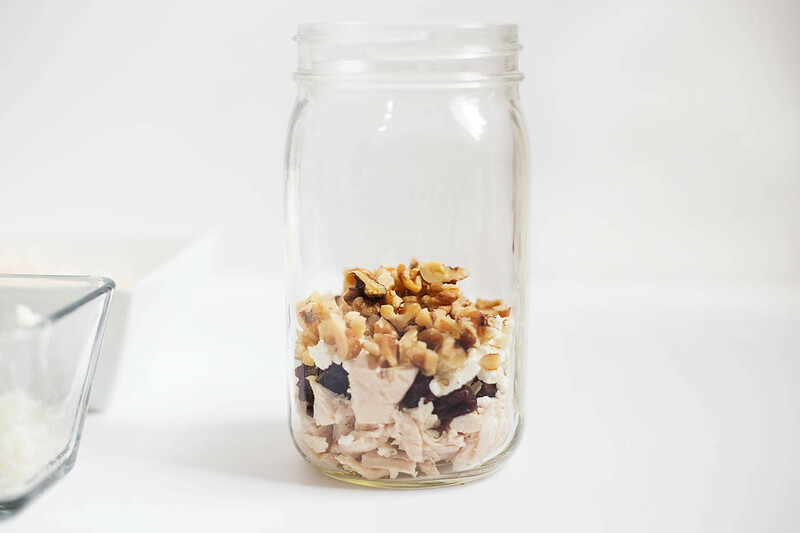 If taking in a jar layer chicken, goat cheese, walnuts and cherries in a wide mouthed jar. Then add in romaine lettuce to the top. If serving right away just toss all ingredients and serve. 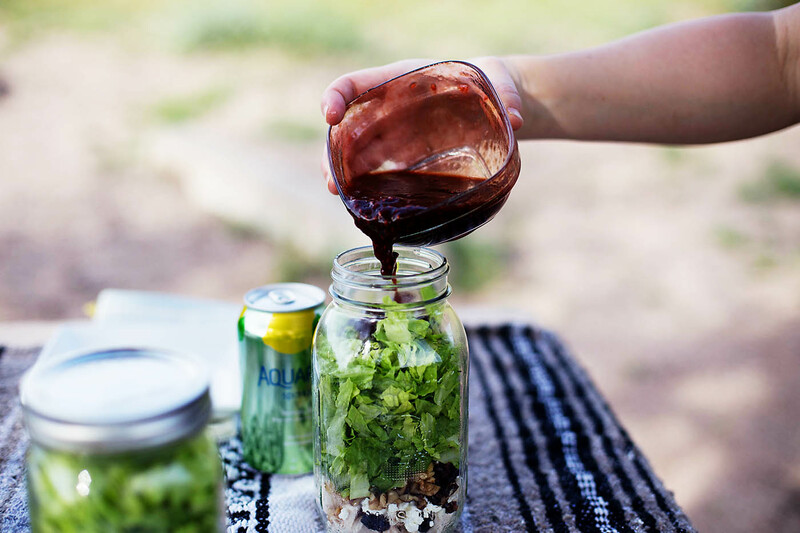 You can use any dressing you like but we love an easy homemade raspberry vinaigrette with this one! Combine 1/2 cup fresh raspberries smashed with 1/2 TBSP of sugar and let sit for 10 minutes or so. 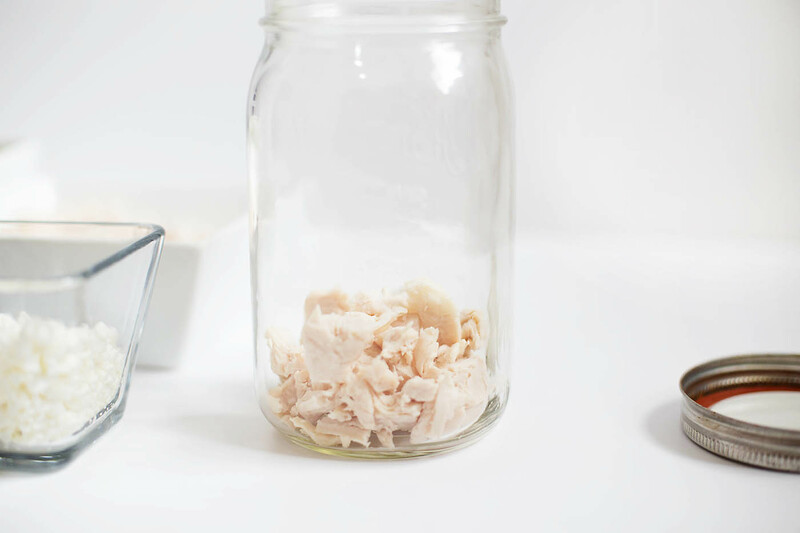 Mix in 4 TBSP of balsamic vinegar, 2 TBSP olive oil and a pinch of sea salt – mix well. 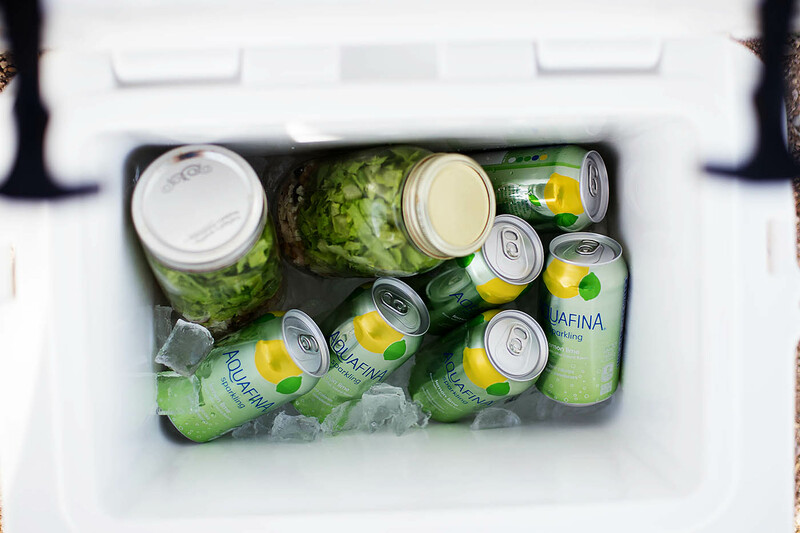 When it’s time to go the salads, dressing and Aquafina sparkling water go in the ice chest. If you invest in a good one they’ll stay ice cold all day even in the heat of summer. We scouted out some fishing spots and decided to stop on the way home for lunch at a hiking spot. This one happened to have tables so I just used my picnic blanket as a little table cloth. 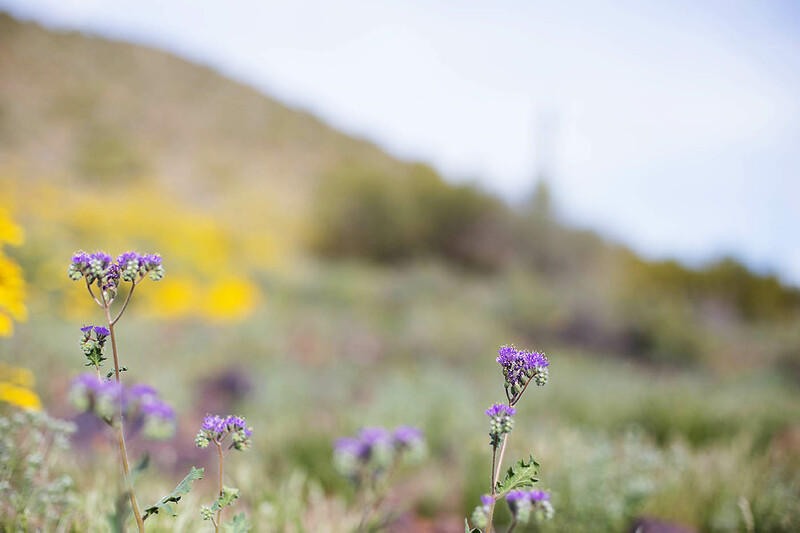 The desert is just gorgeous when it’s blooming. 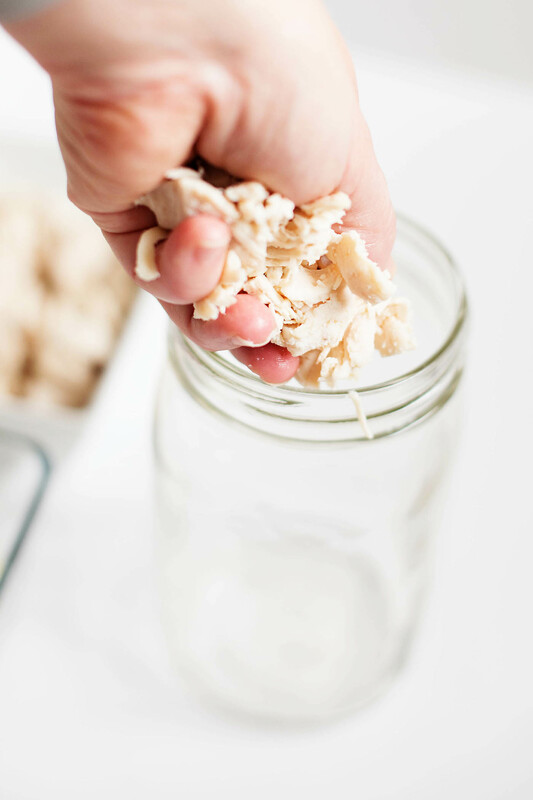 These can be shaken right in the jar so that everything is mixed perfectly. 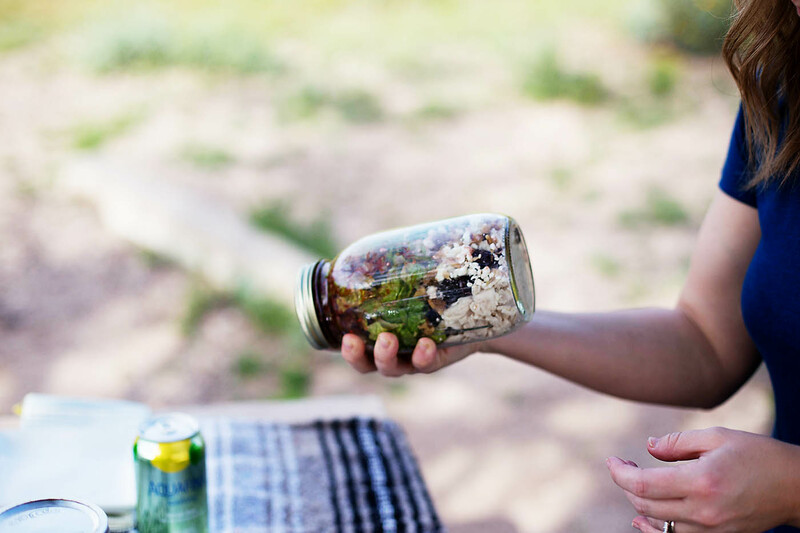 Then you can eat out of the jar or pour on a plate to eat. 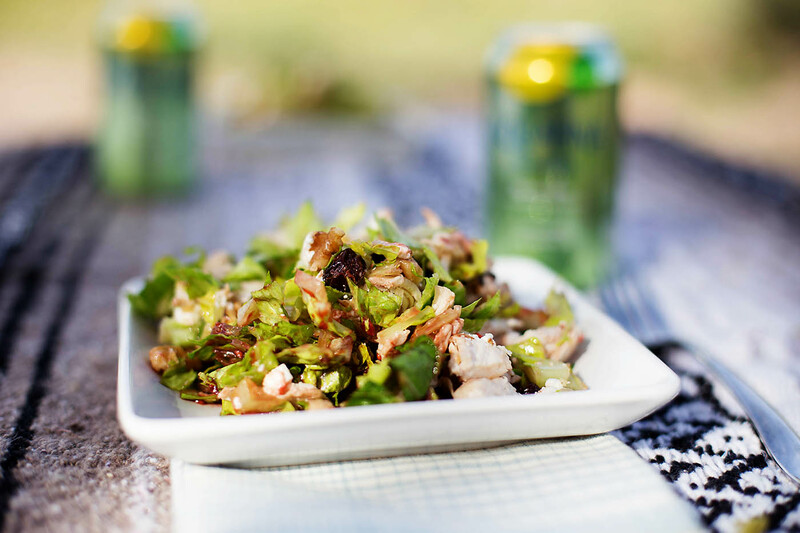 The salads are a perfect light lunch that can be customized to your calorie (or hunger) needs. 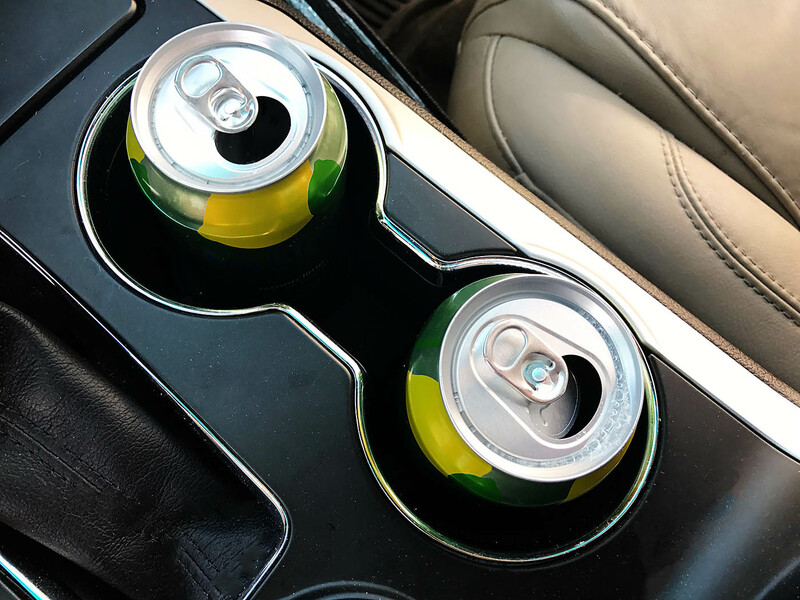 The Lemon Lime Aquafina Sparkling went perfectly with these and we had extras to drink while we drove around. We’ve already picked up their other flavors several times like the new Black Cherry Dragonfruit and Mango Pineapple – YUM! 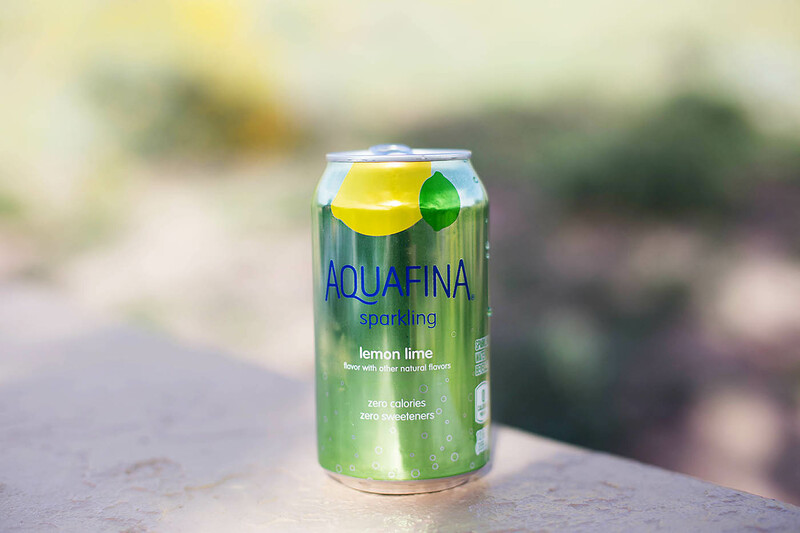 Do you drink a lot of sparkling water? 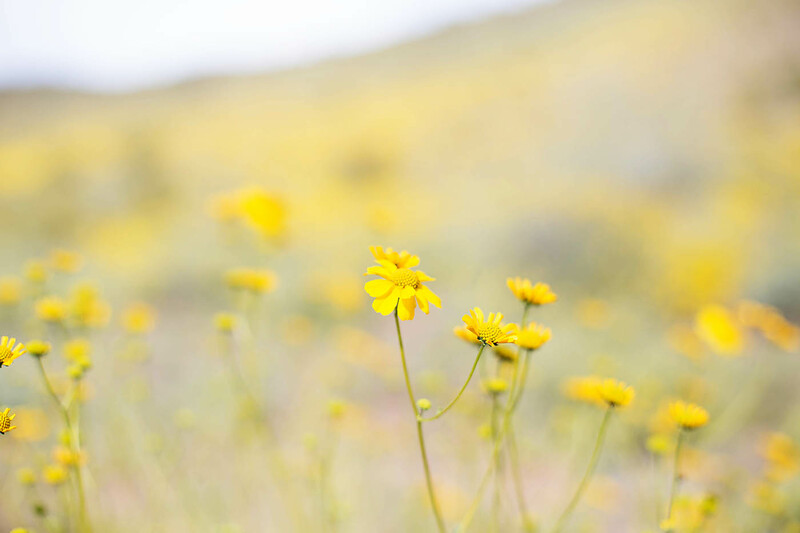 Check out this site for even more inspiration!